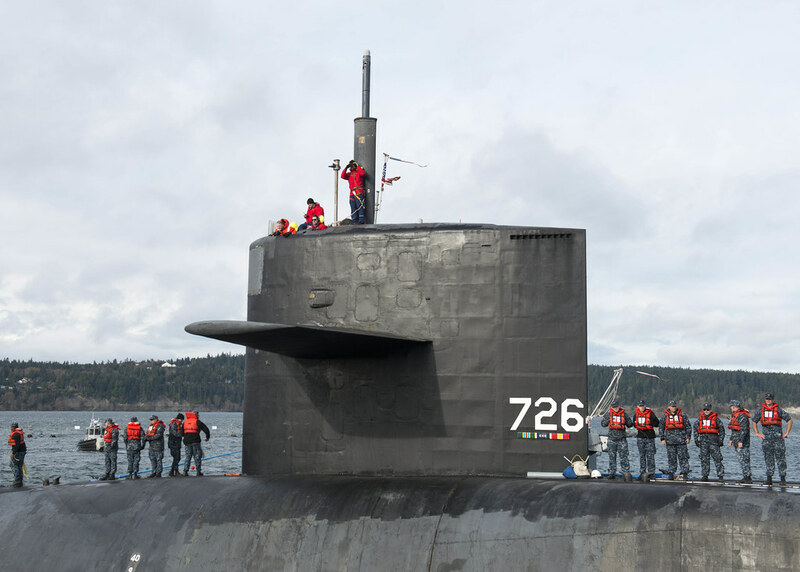 INDIAN ISLAND, Wash. - The guided-missile submarine USS Ohio (SSGN 726) returned home to the Pacific Northwest March 23, after being deployed for 20 months in the Pacific. Since its departure in December 2014, Ohio was forward-deployed to Guam, where it conducted surveillance, training and other critical missions in the 7th Fleet area of operations. Highlights from the deployment included exercises involving special operations forces; port visits in Malaysia, South Korea, and Japan; and coordination of the largest Tomahawk missile onload in program history. Ohio class guided-missile submarines (SSGN) provide the Navy with an unprecedented combination of strike and special operation mission capability within a stealthy, clandestine platform. Armed with tactical missiles and equipped with superior communications capabilities, SSGNs are capable of directly supporting dozens of special operations forces (SOF). The ship is scheduled to begin a Major Maintenance Period at Puget Sound Naval Shipyard and Intermediate Maintenance Facility. Major Maintenance Periods are part of a ship's normal operating cycle and occur after the submarine has been forward deployed for over 12 months. “There are much needed repairs that need to be done to allow Ohio to continue fulfilling its mission,” said Gold Crew’s Chief of the Boat Master Chief Aaron Lee, from Long Beach, California. Ohio and its sister ship, USS Michigan (SSGN 727), are both homeported at Naval Base Kitsap-Bangor.